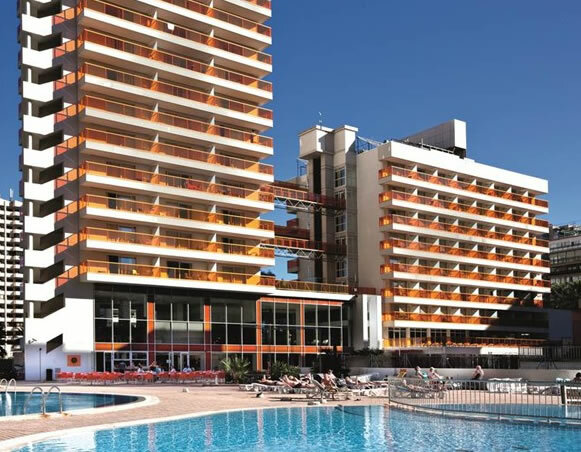 The Dynastic Hotel is situated just 400 metres from the sandy Levante beach in the lively Rincon-de-Loix area of Benidorm on Spain's sunny Costa Blanca. This friendly and comfortable 4 Star hotel is popular with both couples and families and has a wide range of facilities including a Spa! Nearby you will find bars a plenty in the Rincón de Loix area with musical and comedy acts galore. There's entertainment here until the small hours - right on your doorstep. Alicante Airport is 57 km from the hotel. 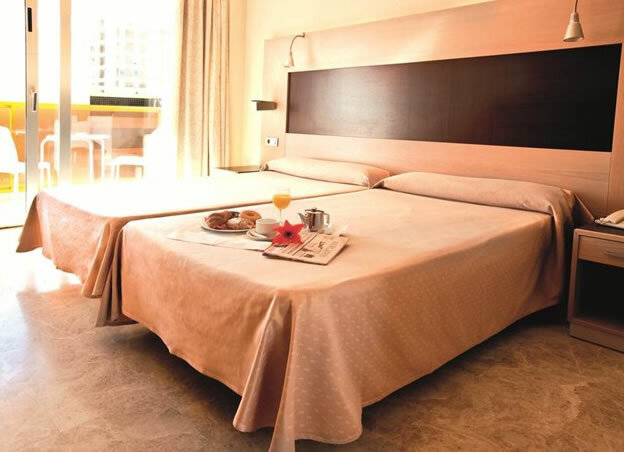 The Dynastic hotel Benidorm features 206 good-sized twin and single rooms all fitted with modern facilities. The rooms are relaxing with a stylish decor and modern fittings. Each has air-conditioning, heating, a large terrace, minibar, TV and phone. Ideal for families that want to be together some of the rooms are Adjoining and with room service available 24 hours a day you can enjoy breakfast or lunch on your balcony. 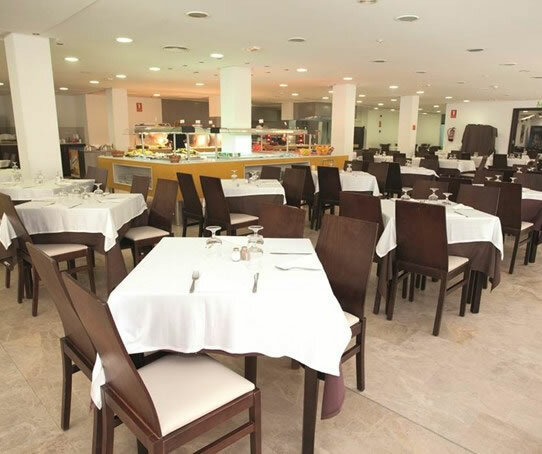 The Hotel Dynastic offers an excellent buffet restaurant, with a wide menu of international cuisine. This is the place to enjoy fresh local produce, with an area of 'show cooking', where you are able to sample tasty fish and meats, cooked right in front of you. There are themed evenings where you can sample typical Spanish, Italian or Mexican cuisine and in the warmer months outdoor barbecues are also arranged. The hotel has a lounge bar and a pool bar where snacks are available during the day. The Dynastic Benidorm has a comprehensive entertainment programme for all ages. There is games, archery, table tennis etc. for the adults, Mini club, crafts and fun for the kids. 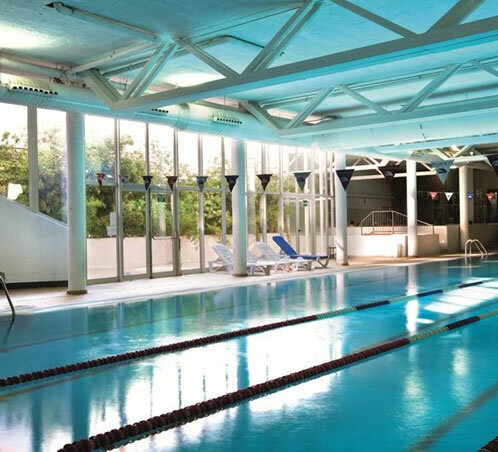 If you would like to simply relax why not take the 60 minute circuit around the hotels 2000 square metre Spa Complex. Here you can enjoy health, beauty and wellness programmes including hydro massage, water beds, pool and a variety of water jets for muscle relaxation. Finnish sauna and Turkish Bath. During the evenings there are shows, live music, and games where you can participate plus competitions compiled by the entertainments team. 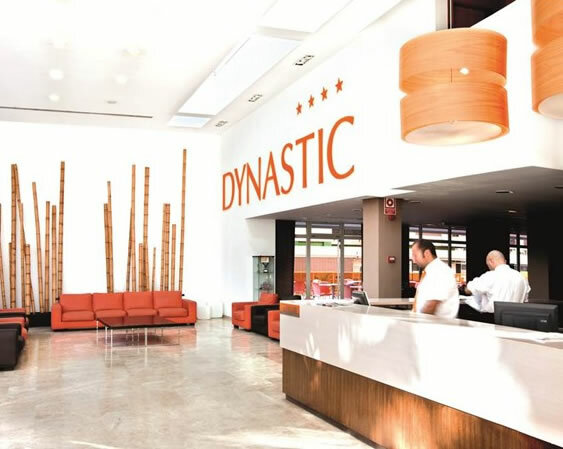 The Dynastic provides a 24 hour reception, Wi-Fi in public areas, a meeting room, gymnasium, heated swimming pool of 25 metres, therapeutic and relaxing massages, football pitches with artificial grass (200 metres from the Hotel), private room for bicycles and other sports equipment. If you need transport, advice on excursions, bars, restaurants, doctors or any other information, the receptionists are there to help. The hotel also offers discounted excursions to the local theme Parks, night clubs and tours.